Onee-chan here lives in Alfred's place (US of course.). Onee-chan has a crush on Prussia. onee-chan here has Antonio's blood in her. I mean she's part Spanish. Little sister... I'm half Mexican but, I suppose it's close enough hehe. 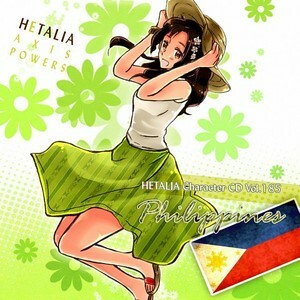 Little sister posted the picture "Gentleman"
Onee-chan is also a member of Hetalia: FrUk fanclub. I still can't get over that stupid mistake. Such a shame. Little sister asked America a question in his forum called: "Ask Alfred F. Jones!" You posted the "cute Francis" pic yesterday. Tine is a member of the Hetalia Mochi club~! Oh! Um... you're part of the GerIta fanclub~! Hello there Izzy! ^_^ Welcome here! I see you're a member of both FrUk and Mochi clubs, same as I am. Haha, you remember that. Ya, indeed, that was quite funny. And I like how it was drawn just like the anime so it looks like official. Hehe, I've read just now that your personality is very much like that of Poland. However, I'm going to edit my response so that my results for every country is shown. I see that you're a dedicated fan in the FrUK club. I've just read also that you like Italy's alternate outfit the most. BTW, I think we'll get along well Izzy. You'll understand why if you know which character is my top result at Stitch onee-chan's personality quiz. Let's see... Tine posted in the poll called: "Which Character(s) Birthday is closest to yours? (or on yours)"
Ren nee-chan here has her birthday closest to Russia's birthday. Little sister commented on the photo I posted called "Happy Birthday Disaster Part: 1"
Yoki here is part Hungarian. Your favorite character is France. Shywarp here is a fan of Russia, am a right? 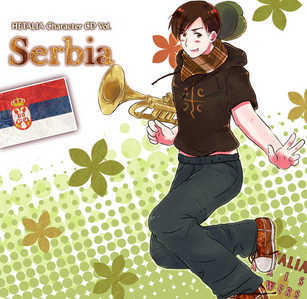 Ummm you are a serbian hetalia fan...? @Ren nee-chan: Yeah, you're maybe right about that, but let's rather enjoy being the elder sisters here, hehe. See, even Chigo-kun calls me now as big sis/onee-chan. You thought of that too? X3 At least you thought of him as something like as soft as a tofu. I like your answer, Yoki. That reminds me also of you wishing for Serbia to be included as a character in Hetalia as well. A, not only Serbia, but also the Yugotalia characters. Yes let's cross our fingers to that. BTW, I like how this picture of Serbia-san looks like an official art. Yoki commented on the picture I posted called: "Nordic Sweets"
Ren-chan (Can I call you that? ^^) here commented on the picture "Brothers." Ren-chan posted "Sweets with the Asian Countries"
Yoki commented on the picture I posted called- "Bad Friends Brain Freeze"